Fake news alert: The tweet below was fake. It was of a tornado that occurred near Spearman, Texas. I apologize for my error. 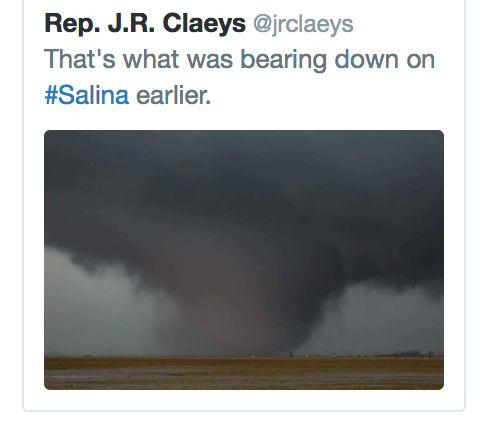 Regardless, there was a tornado moving toward Salina and we were fortunate for the very little damage. Lots of tornadoes that appear to have struck little. For example, this just missed Salina, Kansas, a good sized city.